Theater Design Northwest provided and installed a ZeeVee 150 localcast video distribution system in this great new establishment at the waterfront of San Juan Island. ZeeVee allows the owners to distribute ad or video content from the office PC to all three HDTVs in the restaurant in high definition over their existing coax cabling. They also use the ZeeVee system to display the questions onscreen of the HDTVs for their ever-popular trivia nights. Once configured by a pro, ZV systems are totally plug and play for the end user- just tune the TV to the right channel and use the computer exactly as usual and you have instant localcasting of your own in-house HD channel. 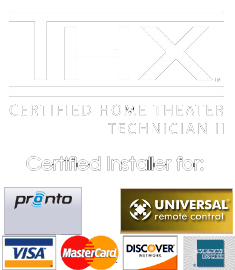 The ZV is popular for use in establishments like The Rumor Mill as well as for in-home installation too. You can even use it to broadcast Netflix streaming throughout your entire home with no new cabling! Used by: The NFL, NBC/Universal, Tulsa University and JP Morgan Chase. Learn more about ZeeVee here. Oren, Peggy and staff are great folks and they do an awesome job at the Rumor Mill. 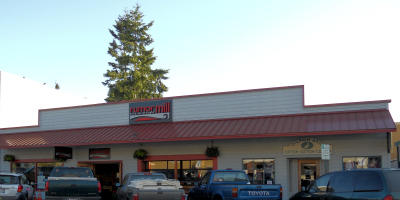 The Rumor Mill is our Go-To place when stuck in the Friday Harbor ferry line…….the food is awesome and it’s Microbrew heaven!!! !